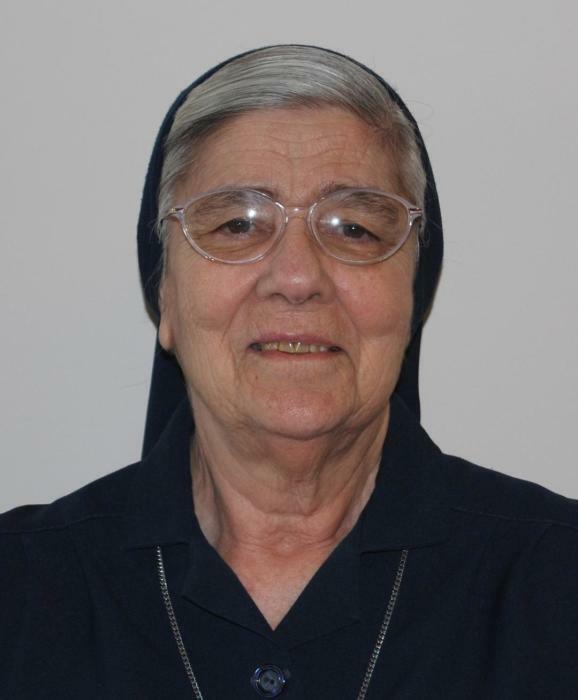 Sister Mary Raphael (Myriam Providencia) Collazo, age 87, died at Villa St. Michael in Emmitsburg, Maryland on October 21, 2018. She was born on December 7, 1930 in Mayaguez, Puerto Rico, one of two children born to Providencia (Camunas) and Casto Collazo. Sister Mary Raphael joined the Daughters of Charity on June 24, 1952 in Emmitsburg, Maryland. After a period of formation, she was missioned to Immaculate Conception Academy in Washington, DC as a teacher (1953-1954). After a year in teaching, she went to Providence Hospital in Washington, DC to study and work as a lab technician (1954-1955). After training as a lab technician and passing the State Boards, her dream of becoming a missionary in Bolivia was fulfilled. She served in various missions in Bolivia as a Lab Technician, a Teacher, a Provincial Secretary, a Provincial Councilor, and an Administrator of a Home for the Aged. Feeling some of the effects of aging, she returned to the States in 2004 where she spent several months at St. Michael Villa in Emmitsburg. This was followed by two transitional missions at St. Joseph House in Martinsburg, West Virginia and St. Peter Claver House in Macon, Georgia. In 2005, Sister Mary Raphael was missioned to Villa St. Michael where she served in the Ministry of Prayer until her death. Sister Mary Raphael earned her Bachelor Degree in 1951 from St. Joseph College in Emmitsburg. She was preceded in death by her parents and her brother, Raphael. She is survived by her nephew James Raphael Collazo and her Sisters in Community. A wake service will be held on Wednesday, October 24 at 7:00 pm in the Villa Chapel in Emmitsburg. A Mass of Christian Burial will be celebrated on October 25 at 11:00 am, also in the Villa Chapel. Burial will follow in Sacred Heart Cemetery on the grounds of the Provincial House in Emmitsburg. In lieu of flowers, memorial donations may be made in Sister Mary Raphael’s name to the Daughters of Charity, 4330 Olive Street, Saint Louis, Missouri 63108. Arrangements have been entrusted to the MYERS-DURBORAW FUNERAL HOME in Emmitsburg.